Three juvenile Yellow-legged Gulls were seen at the Patch. 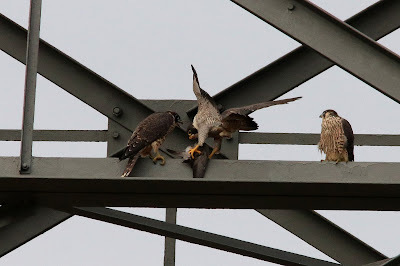 The family party of Peregrine Falcons continue to show well. 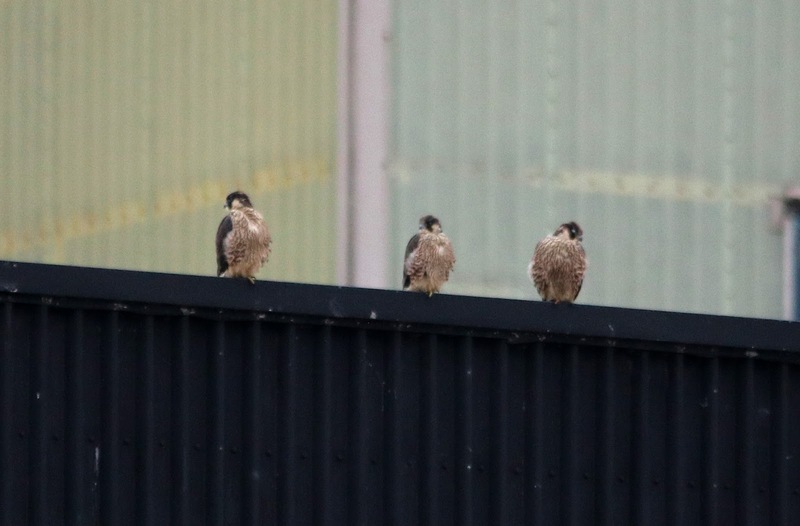 The upper image shows all three youngsters. A Common Seal was seen offshore and a Brown Hare was seen on the road. A Red-eared Terrapin was seen in the Long Pits. 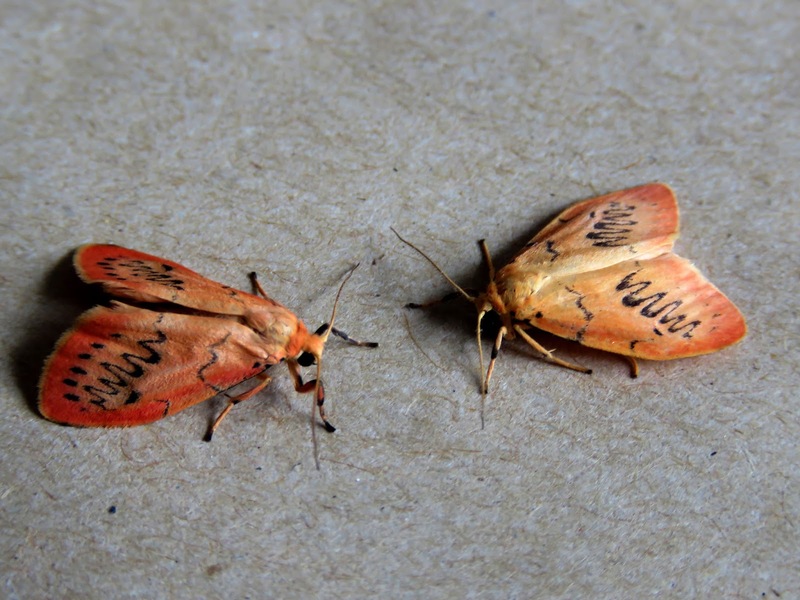 Moth trapping produced two Rosy Footman (5th and 6th Observatory records), a Saltern Ear, a Langmaid's Yellow Underwing and a Plumed Fanfoot (only the 5th Observatory record of this relatively recent colonist to Britain) of note.